Welcome to the magical, beautiful, world of crystals. Whether you are a master healer, accomplished Lightworker, or just fascinated with crystals -- Greetings! The Crystal Vaults offers you a storehouse of beauty and knowledge. The Crystal Vaults is your definitive and (at least we think so,) finest source for crystals on the web. Or maybe are you just looking for well described, clearly photographed and fairly priced crystals? Check out our Twitter feed and read on - we are here for you. Visit us often at the Crystal Vaults. Learn the secrets of crystal power. FInd the crystals that can enhance your well being, guard and guide you, and facilitate your journey to success and happiness. If you are looking for well-described, well-photographed crystals at fair prices, you have found what you are seeking. If you are looking for some people that truly understand the power and energy of the crystal world, you have found us. 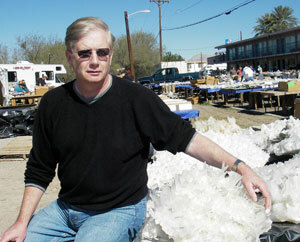 I am Hank Mason, founder and chief author of the site. In addition to being a retired USAF rescue helicopter pilot, I am a GIA Graduate Gemologist. 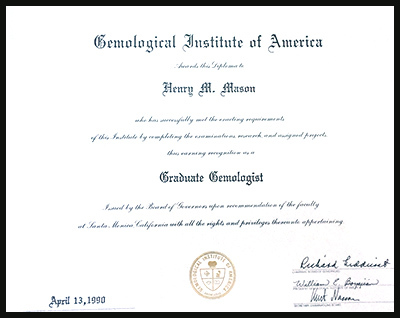 Graduate Gemologist is the most prestigious credential in the industry; the GIA Graduate Gemologist program gives a person a comprehensive knowledge of gems and stones and is an internationally recognized certification. We are dedicated gem, mineral, and crystal researchers, students, and practitioners. Here at the Crystal Vaults, you will find only authentic, natural crystals. If the crystal is enhanced in any way, we will disclose it so you are aware of exactly what you are buying. We have spent years in research to understand the power and energy of the crystal world to assure that the information here was the best possible. You can benefit from that research. In fact we "wrote the book." We have actually written two books. .
My book, The Seven Secrets of Crystal Talismans, offers you the results of that research. In it you can quickly find how crystals can benefit you and your life. The Universal Life Force is strong in the crystals of this world. The second book, published in March, 2016 was written with Brittani Petrofsky. 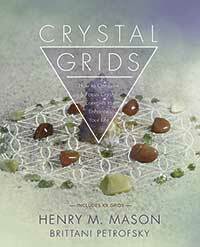 It is entitled "Crystal Grids, How to Combine and Focus Crystal Energies to Enhance Your Life. We are certified Gemologists, so we can assure you receive exactly what you want. We are true believers in the Universal Life Force and its manifestation in the crystals of this Earth. We assure you that the crystals here have the power and energy as described. We thank you for your patronage. Enjoy the site, and don’t hesitate to ask any questions. We will answer. A quick note to support@crystalvaults.com will get you an even quicker reply. Jessie is the General Manager here at the Crystal Vaults. She has been a part of this business since it begain in 2006. She has grown up with it and shaped it in many ways. She is a college freshman and working towards her degree as a full time student. She has written articles like many of our Goddess pages, designed new products, processed thousands of items, and done many graphics. Now, with that experience, she manages the inventory and the office. She keeps inventory in stock, directs its processing, and assures we have the items our customers want always available. Jessie works with both our customers and our suppliers. If you have products or services you believe we should carry, please let her know. She can be reached at jessie@crystalvaults.com. Mary leads our Customer Support Team. She works to assure every order is processed, packed, and shipped perfectly. She works all customers' issues and needs. She is learning a lot about minerals and crystals, and is becoming an expert in international shipping costs and options. She will assure your package is shipped the best possible way to assure you receive everything on time, and in perfect condition. Katrina Farmer handles all our inventory, from purchasing at the Gem Shows to processing it onto the website. She ensures that we have everything in stock for our customers and makes sure we have the highest quality by working directly with suppliers. Katrina works the inventory, weighing, measuring, and describing all the wonderful crystals. She too has many years of experience in photographing and describing crystals. She has done many thousands of them. Katrina is also the owner of Katrina's Crystal Creations. She wire wraps all of her jewelry by hand, creating beautiful and unique works of art. She is also part of our Crystal Alchemist team, as she has her own line of Crystal Elixirs and Sprays. You can find her work in the handcrafted jewelry and elixir section. Katrina works here at Crystal Vaults and makes her home in Palm Coast Florida. Linda Mason is the author of the new, extensive Encyclopedia of Crystals, Gems, and Minerals. She is working through the mineral and crystal kingdom building the online guide to the Healing Energies, Goddess Relationships, Spiritual Energies, Birthstones, Color Energies, Zodiac Alignments, Meditation Uses, Divination Uses, and other metaphysical aspects of the many minerals and crystals on the market today. Take a look. You will be simply amazed. 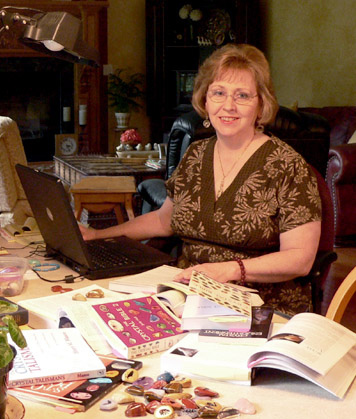 Linda has been a writer for many years, and has been working exclusively on the Crystal Metaphysical Encyclopedia since 2011. She works it from her home in Illinois. She researches each crystal very extensively and provides the most complete and accurate information possible. 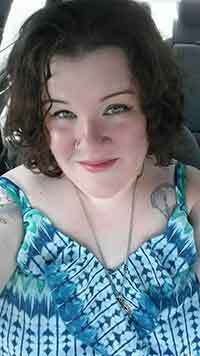 Kat Ohren is one one of our designers/writers/authors/webmasters. She is the author of the Crystal Reference Guide. She was the illustrator of the Crystal Medicine Wheel Guide. She has been doing web design and web graphics for many years. Her talents are well respected here at the Crystal Vaults. She makes our pages "sing." Kat is a graduate of Penn State University and lives with her family in Florida. Paige is now 16 years old. She works with Jessie to process new material and keep inventory straight. Paige is a wonder. She is a master of the unusual crystal designs and shapes. She can quickly sort through quartz crystals and clusters to find all the special ones. No timeline, bent, generator, or any other special shape escapes her sharp, trained, experienced eye. She is also working on the Goddess Crystals pages to bring you even more information on how to use crystals to bring the blessings of the goddesses into your lives. 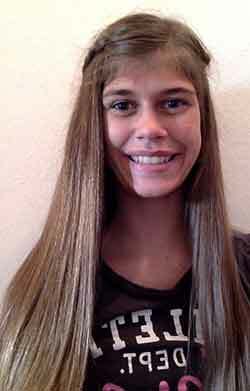 Mackenzie Smith is our youngest team member. She is a high school sophomore. She works in shipping and is learning silversmithing and other jewelry skills. She has worked here for a couple of years. She is skilled in sorting crystals, processing new inventory, and international shipping. Thanks for visiting; we encourage your comments. Keep up to date with us on Facebook too!